The new National Curriculum for mathematics aims to ensure that all pupils become fluent with the fundamentals of maths. At Billingborough we will follow these principles through the frequent practice of a range of increasingly complex problems, thus our children develop conceptual understanding. As they learn they increase their skills of recall and become confident in applying their new skills rapidly and accurately. We want our children to reason mathematically so they are equipped to manage the challenges that “real life” maths will throw at them. To be able to solve problems by applying the skills learnt in other lessons, breaking them down into steps and using our school value of perseverance to try and seek solutions. Maths the new National Curriculum breaks down the subject into the following areas. Counting, estimating, reading and writing numbers, ordering and comparing numbers. Understanding what the different digits in numbers represent. There is a focus on using mathematical language throughout, spoken , read and written (with the correct spelling). Children need to experience maths at home too so we ask for parent’s support with homework. Firstly by trying to include as much real life maths in everyday family life as you can. 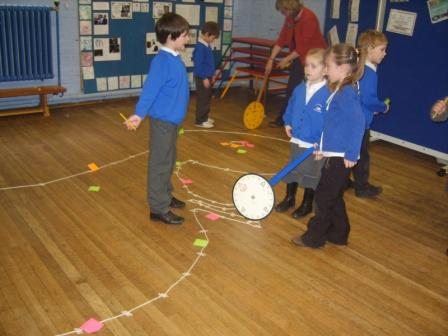 In addition by helping learn key skills such as number bonds and multiplication facts. Finally by helping with homework activities sent home from your child’s class teacher. 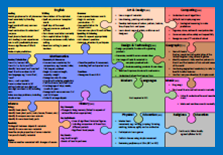 Look at the Jig Saw Puzzle Curriculum Over View to view a pdf giving the specifics of Maths taught in each year group.